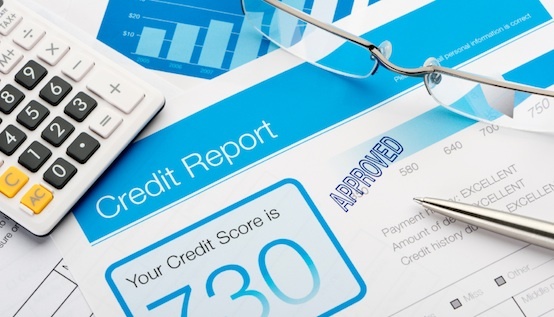 Did you know that many people never even think to check for errors on their credit report? It’s imperative that you do so, as errors on the report are fairly common. Your credit report is incredibly important when it comes to things like renting a home or taking out insurance. You must take the time to check that it’s all accurate, as you could struggle otherwise. So, why should you be checking that report? Is it really that important to do? Well, the answer is yes. If you ever come to a point where you want to take out a loan, your credit score will be the main factor involved. It will have a direct influence on how much money you can borrow and whether you can even borrow any money in the first place! The same goes for all sorts of purchases, such as taking out a mortgage or applying for car financing. If you credit isn’t up to scratch, you won’t have much choice but to walk away. Another reason to check your credit report on a semi-regular basis is to observe identify theft. Your identity could be compromised for any number of reasons, and your credit score will suffer as a result. Look for any bizarre accounts or payments that have been made that could cause the issue. You need to put a stop to identify theft as quickly as you can, or you could find the damage becomes a whole lot worse in a short amount of time. All of the information your report is accumulated by a credit reporting agency. They’ll be the ones who make the majority of mistakes, as they’re dealing with vast amounts of data every year. In order to check for any errors, you’ll need a copy of the report in the first place. Find out which agency you need to contact, and ask them to send you something via email or post. You need to be checking your report thoroughly to try and spot any mistakes. This could be anything from a simple spelling error to a payment that is still listed as unpaid. If you can find an error on there, you’ll need to get back in touch with the agency. They’re not always the best at getting back to you quickly, so don’t be afraid to follow up if you don’t hear anything. Ultimately, if you disagree with the result they give you, you can dispute it even further. It might be worth bringing in outside help to do this as it can get a little complicated. There are credit repair agencies out there to try and solve any issues you may face. Disputing your credit report can become quite difficult if issues arise. Seek expert advice in any case, and you should be able to rectify the situation fairly quickly. No matter the result, it’s worth doing a periodic check of your credit report from time to time. You can normally obtain a free copy once a year, so put this into practice.